The Global objective of this Call for Proposals is to contribute to the achievement of the Millennium Development Goals (MDG) on poverty alleviation, as well as of the World Summit on Sustainable Development (WSSD) objectives on energy, while helping to fight against climate change. The Specific objective of this Call for Proposals is to increase and improve access to modern, affordable and sustainable energy services for rural and peri-urban poor by focusing on renewable energy solutions as well as on energy efficiency measures. 1. Reduce Fragility, Post-conflict recovery: actions iwill specifically target areas affected by post-conflicts impacts and/or natural hazards (such as droughts, floods, etc.) impacts. Will be considered for funding only actions providing access to energy services to not less than 10,000 people by the end of the project duration whilst priority will be given to projects demonstrating higher efficiency through providing access to a higher number of people. 2. Geographical Focus: concentrate on the target group, i.e. poor people living in scattered settlements, villages, rural areas of the following target countries: Burundi, Central African Republic, Liberia, Mali and Somalia. 3. Ownership: anchor ownership of a project to the beneficiary and to ensure the coherence and alignment of the project with Local, National or Regional Development Plans and other sector-specific, poverty reduction and energy-related policies. Budget € 15,000,000. The initial planned duration of an action shall not exceed 48 months. 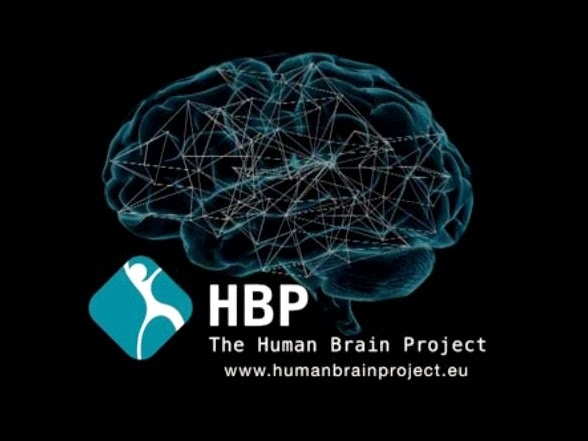 The Human Brain Project (HBP) is a ten-year, large-scale European research initiative whose goal is to understand the human brain and its diseases and ultimately to emulate its computational capabilities. The ramp-up phase of the project (October 2013 to March 2016) has received €54M of funding from the European Community's Seventh Framework Programme. HBP has reserved a portion of its ramp-up phase funding for specific tasks to be carried out by new beneficiaries who will join the consortium in 2014. These new beneficiaries will be selected from proposals submitted in response to this Competitive Call. The project will only consider proposals for research. Other kinds of activity will not be funded. 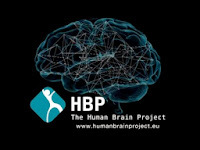 The following are eligible to participate in the HBP Competitive Call: any legal entity established in an EU Member State or an associated country or created under EU law; any international European interest organisation; any legal entity established in an FP7 international cooperation partner countries (ICPC). International organisations, other than an international European interest organisation, or a legal entity established in a third country other than an associated country or international cooperation partner country may also participate but without EU funding. 4) Governance and policy response. With respect to the first 3 priorities, partners should either have experience within previous Med projects or other European cooperation projects. Priority 4, on the other hand, is only open to national and local authorities and previous participation in Med or EU funded projects is not necessary. The total budget for this call amounts to EUR 5 million. Horizon 2020 aims to enhance the participation of SMEs (also micro-SMEs), addressing all forms of R&D and types of innovation (non-technological and service innovations), towards exploitation and commercialization. SMEs should get access to international networks, new markets and customers and qualified staff. Better conditions for SME participation are envisaged. The concept of SMEs in Horizon 2020: Whereas mainstreaming SME support is offered via the new SME instrument that will be implemented in the societal challenges as well as in the enabling and industrial technologies, specific support is provided via different measures. Research intensive SMEs are tackled by Eurostars 2 (Article 185 initiative), targeting market oriented innovation of R&D performing SMEs with a bottom-up approach. The innovation capacity of SMEs will be enhanced by awareness raising, information and dissemination training and mobility activities, networking and exchange of best practice. In addition, specialised innovation support on IP-exploitation, networks of procurers, tech transfer offices and strategy design is completing this specific support. The FI-CONTENT 2 project, currently active in the Seventh Framework Programme of the European Community for research and technological development, announces its Open Call for new beneficiaries. FI-CONTENT 2 is part of the Future Internet PPP (FI-PPP) program, a joint action by European Industry and the European Commission. The FI-CONTENT 2 project aims at establishing the foundation of a European infrastructure for promoting and testing novel uses of audio-visual content on connected devices. The partners will develop and deploy advanced platforms for Social Connected TV, Mobile Smart City services, and Pervasive Games. To assess the approach and improve these platforms, user communities in 6 European locations will be activated for living lab and field trials. Intellectual Property Rights (IPR) will be managed according to the corresponding Grant Agreement, Consortium Agreement and Collaboration Agreement, which the new partners shall adhere to. This call focuses on methodological aspects of the different phases of social policy innovations, policy reforms or policy adaptations. Social policy experimentation within this call should aim at measuring the impact of a relevant social policy intervention and be based on a sound methodology. The scope is to attract proposals designing social policy interventions in line with the social investment package which contains three policy reform strands to help member states adapt their social protection systems to the societal challenges. •effective and efficient spending to ensure adequate and sustainable social protection. Applicants must be established in the EU, Norway, Iceland, Liechtenstein, Former Yugoslav Republic of Macedonia, Turkey or Serbia. Proposals must be submitted by a consortium of stakeholders involved in the process of social policy innovation. The lead applicant must be a public authority at central, regional or lovel level or bodies governed by public law. Co-applicants must be public authorities, bodies governed by public law, civil society organisations or private sector organisations. It is encouraged to include academic structures. The budget for this call is €3.5 million. Grants are worth between €700,000 and €1 million covering up to 80%of eligible costs for a period between 24 to 36 months. Deadline for submitting of proposals: 15 November 2013. The objective of the preparatory action is to identify, develop, promote and disseminate the good practice of national, regional or local governments and of financial intermediaries in assisting young social entrepreneurs at times of high youth unemployment. This strand is particularly relevant for actions in countries in which the social finance market is not developed yet. It aims at addressing situations in which no suitable social finance instrument is in place, with a lack of investors prepared to launch or participate in a financial instrument. This strand is particularly relevant for actions in countries with a relatively low level of development of the social finance market. It aims at addressing situations in which there is no suitable social finance instrument in place and potential investors and intermediaries lack expertise that can guide the drafting of contractual agreements needed for setting up a financial instrument. This strand is particularly relevant for actions in countries in which different types of actors are already operating in the social finance market, but in isolation. As a result, these different types of social finance providers (foundations, social investors, public authorities, notably ESF managing authorities) apply a broad range of incoherent and unrelated eligibility criteria return expectations, conditions for repayment, requirements for accounting and reporting etc. For all strands, the focus should be on social ventures that aim at social impact, are financially sustainable, want to scale up (including through franchise) and, for that purpose, want to raise between EUR 100 000 and EUR 500 000. The total budget: EUR 1 million. 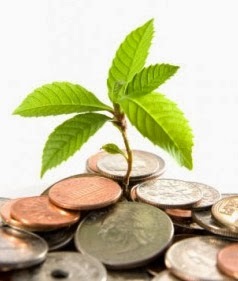 The EU grant is limited to a maximum co-funding rate of 80% of the total eligible costs. URBACT Call for proposals is now open for the creation of up to 4 Pilot Networks for the transfer of good practice in the field of integrated and sustainable urban development. 1. Support the validation of good practices through the transfer (re-use) by cities in the framework of a transnational exchange and learning project. 3. Explore how transnational cooperation can support the identification, validation, dissemination and active in-take of good practices in the field of integrated sustainable urban development (in the perspective of the URBACT III programme, with a focus on the EU2020 objectives). More generally, these pilot Transfer networks shall allow the programme to explore how URBACT III could, building on transnational cooperation, foster and support the mapping, re-use and validation of good practices. XIFI (eXperimental Infrastructures for the Future Internet), a project currently active in the Seventh Framework programme of the European Community for research, technological development and demonstration activities contributing to the creation of the European research area and to innovation (2007-2013) requires the participation of new partners to carry out certain tasks within the project. In particular the tasks pertain to the expansion of the infrastructure nodes of the FI-PPP capacity by the involvement of providers and operators of additional infrastructures at locations considering the requirements of the early trial projects of the FI-PPP. The CONFINE project is designing, building and operating a distributed testbed to support experimental research in community networking: Community-lab.net. The main objective of the call for proposals is to develop large-scale demonstrators of Copernicus and the European GNSS-based services. 2. Demonstrate how innovative, added-value services based on Copernicus and the European GNSS could support the emergence of new industries in a region or metropolitan area. The potential for export of the developed services to other European regions must also be demonstrated. Take-up of Copernicus services should consider, at least, the already functioning projects stemming out of the 7th Framework Programme. Each large-scale demonstrator can propose to tackle only one of activities (1) / (2) or both (1)+(2). The large-scale demonstrator shall encourage activities with a strong and visible impact. It shall be based on a holistic approach that brings together a large number of regional innovation actors to create a favourable eco-system for innovative mobile services based on Copernicus and GNSS. Regional and metropolitan governments and business communities are thus called upon to create supportive technical infrastructures and business conditions that facilitate the take-up of innovative services based on Copernicus and the European GNSS in a given region or metropolitan area, paving the way for their possible deployment in other regions.